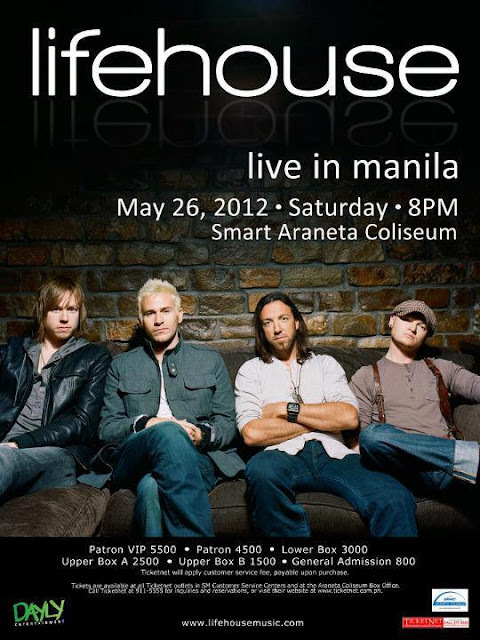 Lifehouse: Live in Manila on May 26 - Hello! Welcome to my blog! in Manila on May 26, 2012 at the Smart Araneta Coliseum. Lifehouse’s most notable hit are the singles “Hanging by a Moment” from their album “No Name Face”. The song became an instant hit and became the “Most Played Song in 2001”. 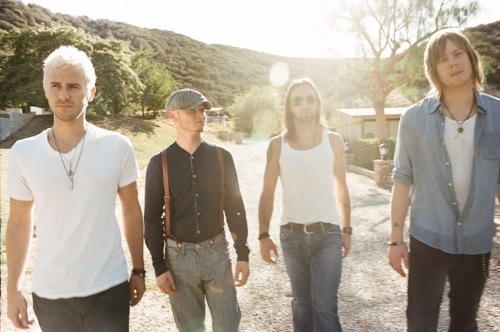 his was followed by “You and Me” from their self-titled album “Lifehouse” and “Whatever It Takes” from “Who We Are”. Catch another exquisite and remarkable performance and fall in love once again with Lifehouse. This event is brought to you by Dayly Entertainment. Tickets are now available at all Ticketnet outlets. 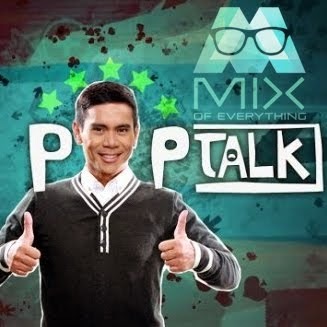 Call 911-5555 or visit www.ticketnet.com.ph for more details.